SOAK is a crafty portmanteau of the terms ‘soul’ and ‘folk’; also being the stage name eighteen-year-old Bridie Monds-Watson from Derry, Northern Ireland goes by. Live recordings of Sea Creatures have been floating around since 2012, with the music press tipping her as one to watch since 2013, Warner Music signing and arranging for her to perform at major festivals through 2014, and now it’s time to unleash SOAK as Britain’s response to Lorde in 2015 as an introspective but relatable young woman singing in tenderly wounded vocals about adolescent existentialism. SOAK has been carefully developed by her record company; however, my smarminess shouldn’t undermine Monds-Watson’s credibility as an interesting singer-songwriter. Her type of music doesn’t get much traction these days, and the efforts of those around her to make her breakout in a mainstream sense suggests the industry realises that traditional pop singing styles can only last so long. 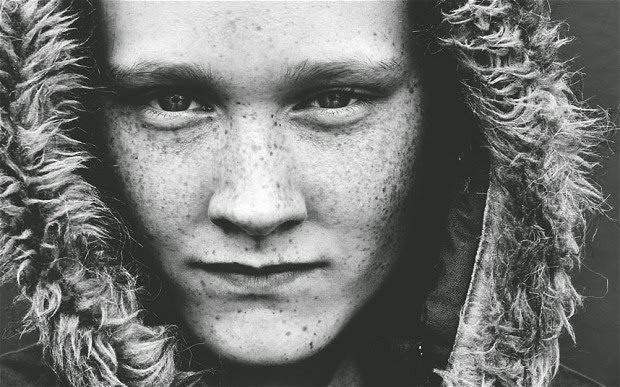 SOAK will travel to the States next month for SXSW, firmly in the hope it will be the best international platform for an androgynous-type skater girl writing songs about being an outsider that smart kids will connect to.